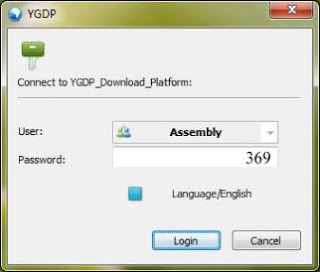 YGDP tool is enabling you to flash the CPB type custom firmware on any Android device. So here we are sharing the latest and secure version for your Android mobile phones and tablets. The CPB file extension can be flash easily by this tool in other hands. Here you can download all the YGDP tools flashing old versions and the new version at the end. This program has so many functions and features in one package. YGDP Tool Flash stock ROMs. When you do flashing any stock ROM by yourself it asks for a password. Just put 369 the default password as a result. You can also change this password anytime from the settings. All pre-resource files can be handled easily. You can flash such files in the form of IMG. Just open your concern file and click to configure it. After that, you have to select the exact file and locate it. Once you setup all the things just begin flashing by pressing the last button. Develop and enables your control panels configuration at the sam time. Checking of entire information about CID, instruments, EMMC, check device name and fuse etc. Remember that the last feature is not available on some of the devices other than Qualcomm chipsets. Compatible with a desktop computer having any windows OS. Supportable for Micromax device including tabs and smartphones like Micromax a311. For this model, you need a USB driver on the go. If you think here that it not working. But don't worry it has the complete solution and the drivers are inside. Almost YGDP tool for cool pad devices like dazen 1, 8297l-100 and so many others. Easu to use with a quite simple user-friendly interface. The latest version has a file size of 10.2 MB and we place a free download link in ZIP format. Also, you can get the old versions right away.